National Schools updated & adjusted schedule. View Day 9 Prize Presentation on Facebook. 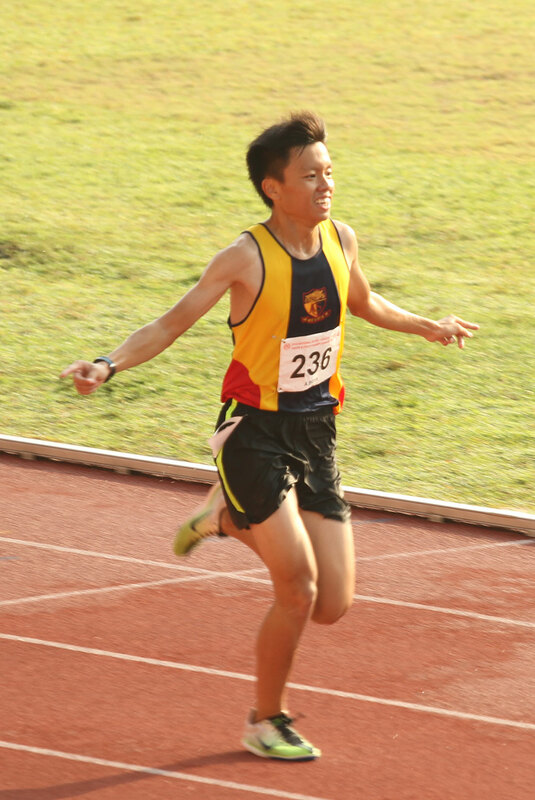 Leroi Lee Rong Zu of ACJC redeemed his disappointing Nationals outing, a bronze in the 5000 metres four days ago, and today finally a gold medal in the 3000 metres A-boys steeplechase. 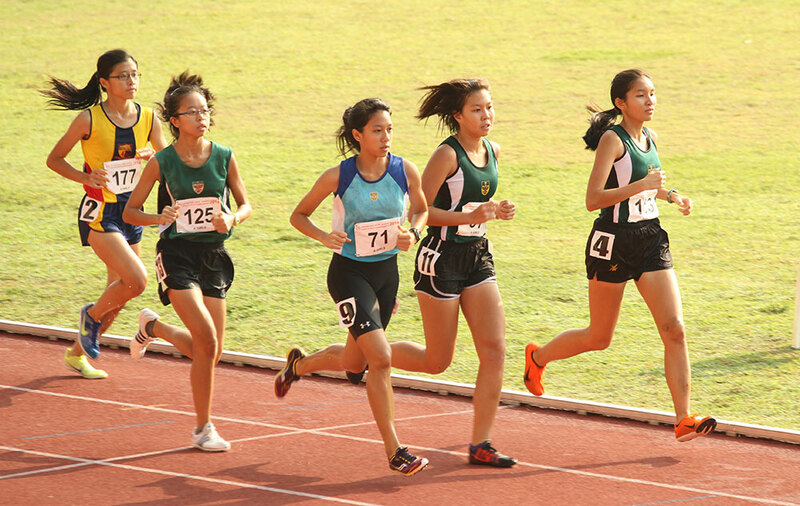 The 2000 metres steeplechase A-Girls saw Mary-Lisa Zhi-Hui Chua (Bib #113, far right) of Raffles Institution running a convincing race, fending off challenges in latter stages of the race to win gold in a timing of 8:10.03 minutes. 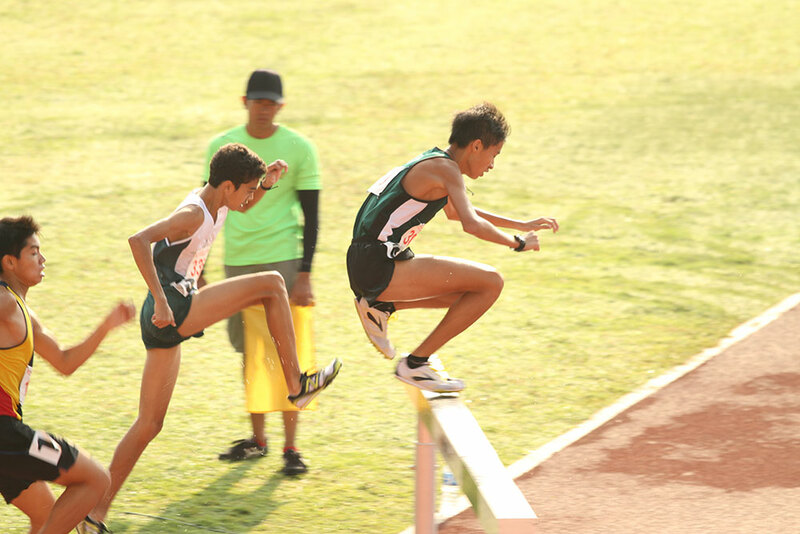 Tan Chong Qi of Raffles Institution completed his double at the Championship. Gold in the 3000 metres four days ago, and today earlier another one in the 2000 metres steeplechase B-Boys event. He crossed the finishing line in 6:43.17 minutes.